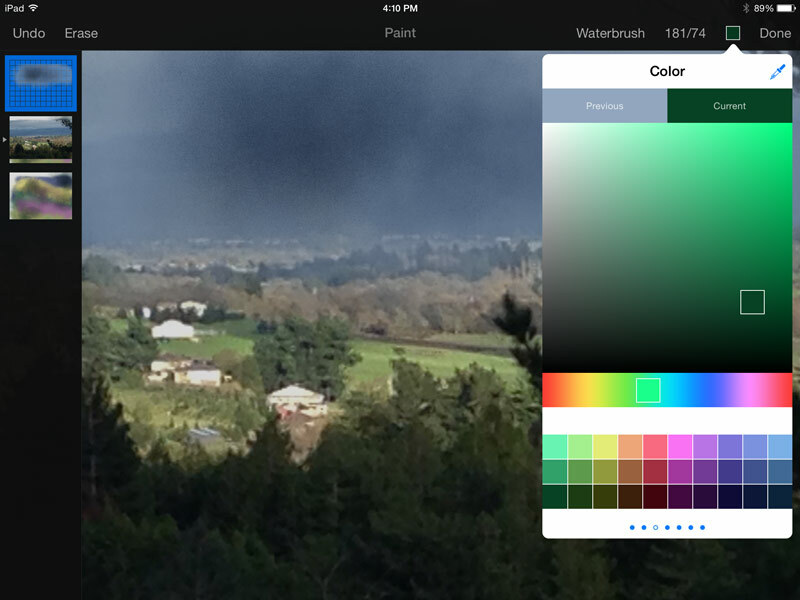 The Pixelmator team, in a 1.1 upgrade of its iPad app, has launched a new watercolor painting technology featuring an assortment of brand new brushes alongside an enhanced color picker. The new brush engine features numerous brush types such as Pencil, Crayon, Marker, Ink, Paintbrush, Spray, Watercolor and Smudge, and within each category there are nine basic choices. Once you choose a brush, however, there is infinite variety in how to use it. You can apply minute size and opacity adjustments to each brush and watch as the colors mix together on the canvas. 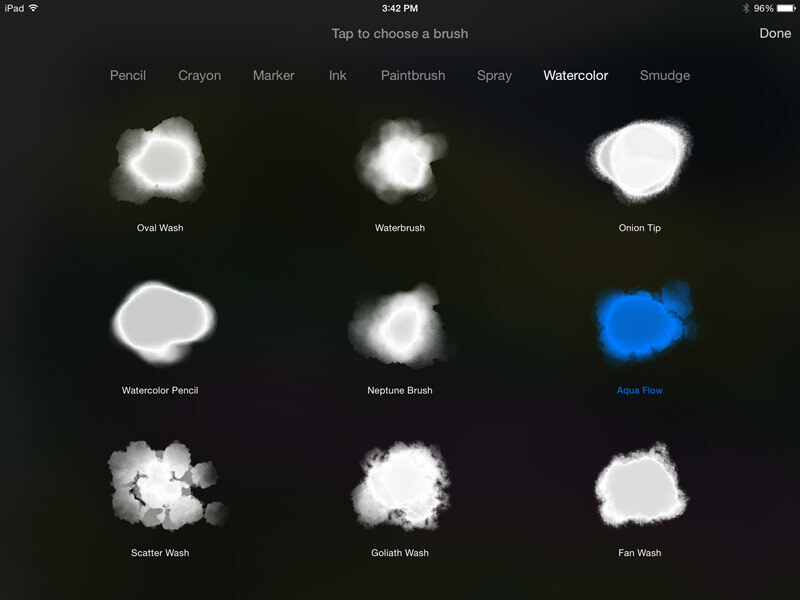 The brush collection for Pixelmator for iPad 1.1, code named Aquarelle, was created by artists and then rendered into the app. This upgrade also features an enhanced color picker. 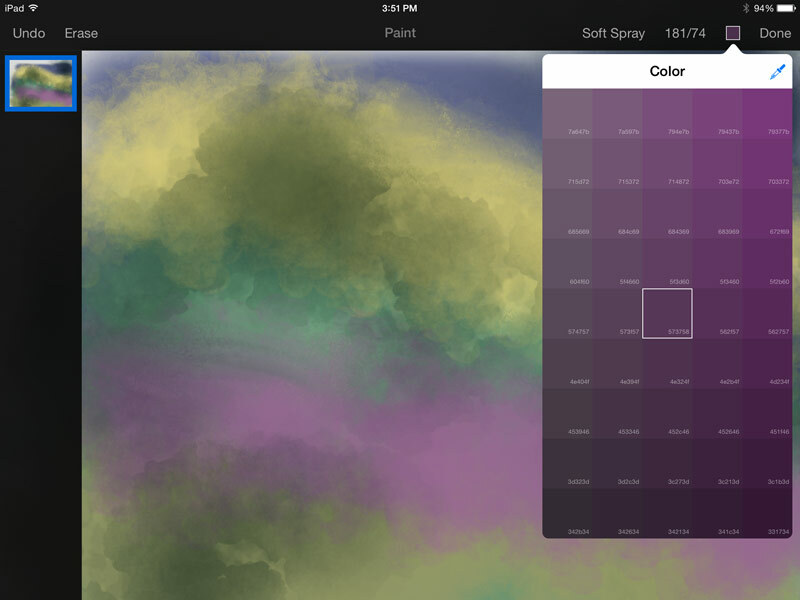 Picker tabs on the swatch palette let you toggle between current and previous colors, while a tap reveals a grid with a range of similar hues and their hex numbers. A square icon gives the exact hex code for the colors underneath it, and changes as you move it around the canvas with your finger. Pixelmator’s non-destructive editing interface lets you layer brush strokes and change the position of the layers — just like in Photoshop — to show or hide other canvas layers. In addition, the new version can now open 16-bit RGB, CMYK and Grayscale Photoshop images as well as Photoshop images containing layer masks. 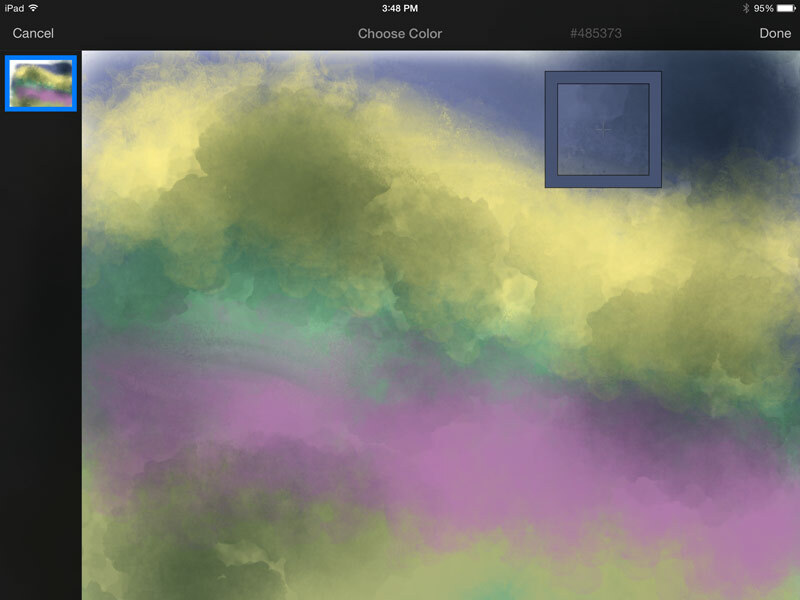 Pixelmator 1.1 lets you a insert photo from your iCloud Drive as a new layer and lets you open Raw previews. A refreshed eyedropper tool, live brush previews and updated stylus support round out this new release. Pixelmator 1.1, for iPad only, requires iOS 8.1. It costs $9.99 in the App Store.